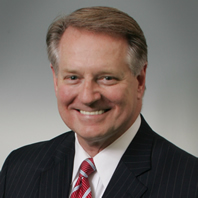 Steve Williams was elected as the mayor of Huntington, West Virginia on Nov. 6, 2012, and has utilized his diverse background in finance, economic development, state government and local government to shepherd a renaissance in Huntington. He commonly says his goal for Huntington is to set standards that other cities across the nation will seek to emulate. Under Williams’ leadership, Huntington has gained recognition for establishing an Office of Drug Control Policy that has helped develop a harm reduction program, an adult drug court and a quick response team to steer an individual into treatment after they overdose. Since 2015, the City of Huntington has acquired $4.8 million in state, federal and philanthropic grants to combat the opioid epidemic. Williams served on a joint task force of the National League of Cities and National Association of Counties to address the opioid epidemic and participated in roundtable discussions at the White House with the National Office of Drug Control Policy in 2016. This year, the City of Huntington was one of 10 cities to participate in the Mayors’ Institute on Opioids, hosted by the National League of Cities in Boston, and launched a holistic program to help first responders deal with compassion fatigue. These holistic efforts have resulted in a 41 percent decline in overdoses in Huntington during the first seven months of 2018 compared to the same time period last year.